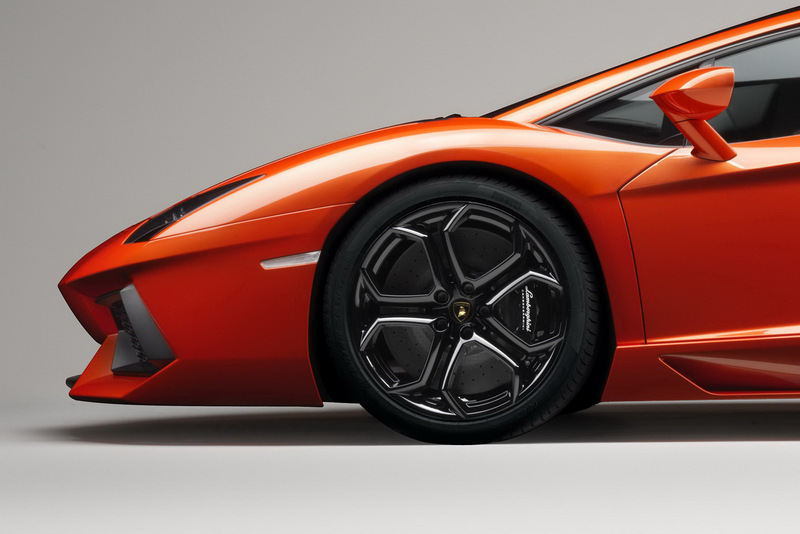 After nearly a decade of running amok in the land of hypercars, Lamborghini’s Murcielago is being retired. 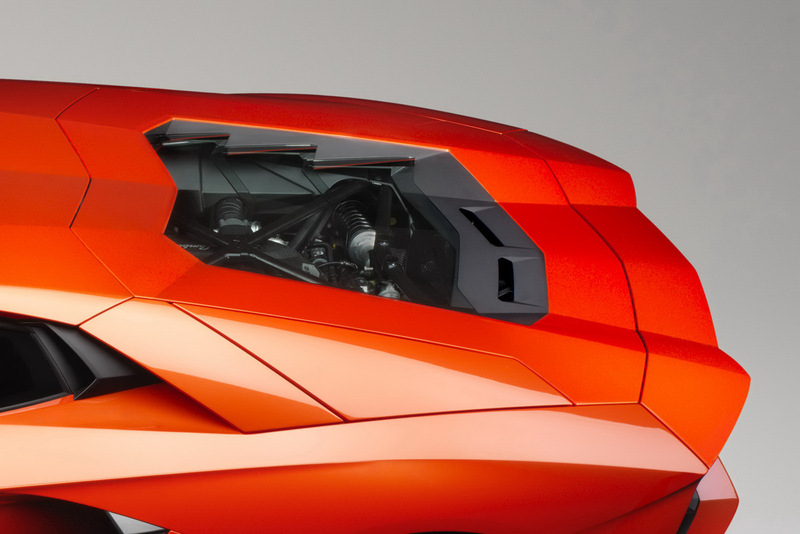 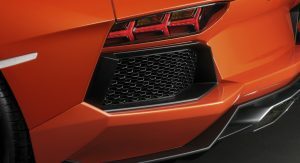 In its place will be the Aventador, a 700-hp devil providing a whole new generation with automotive wall art and high-speed screams. 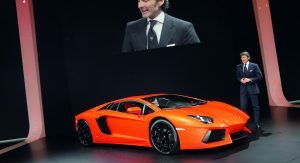 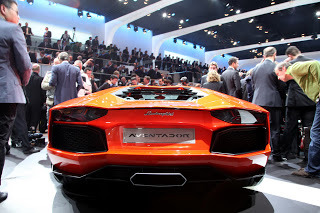 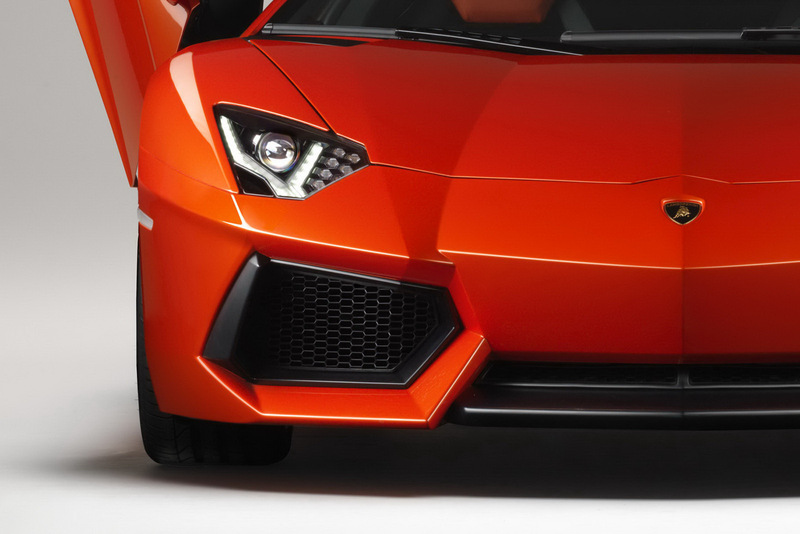 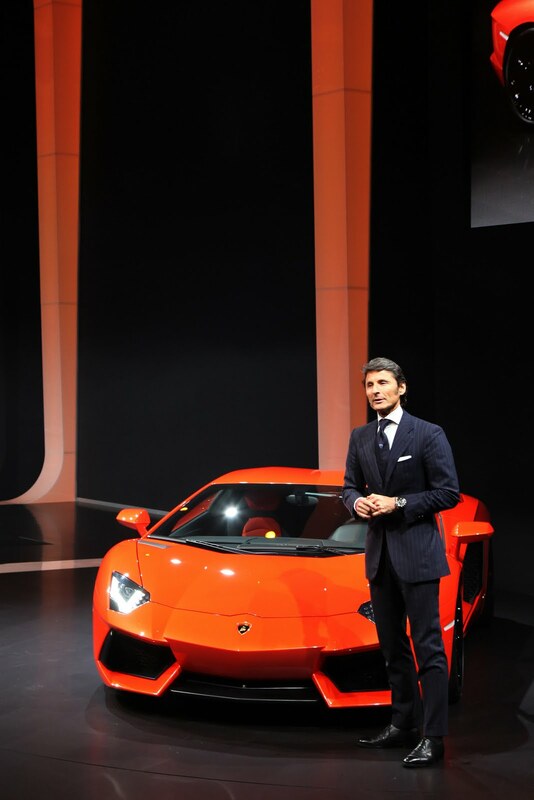 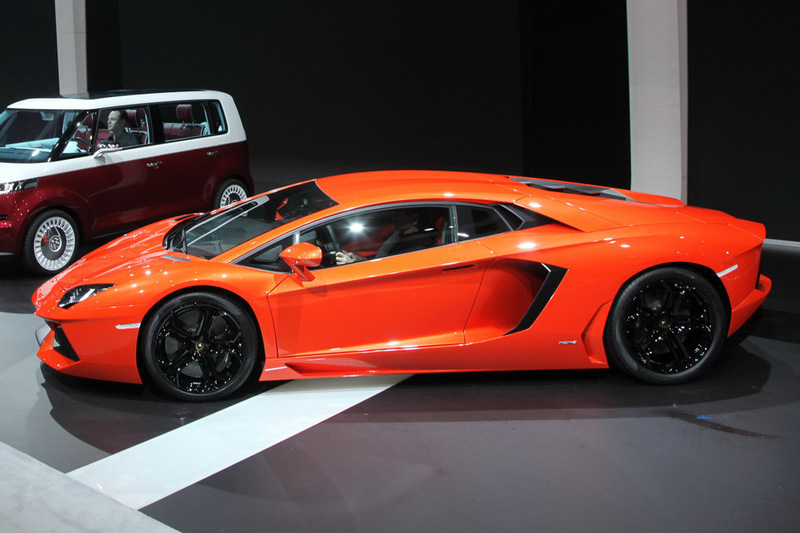 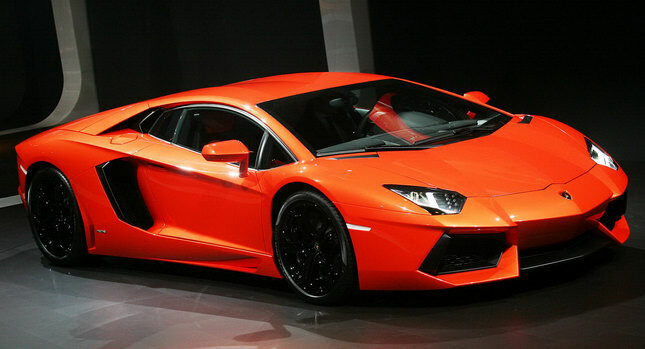 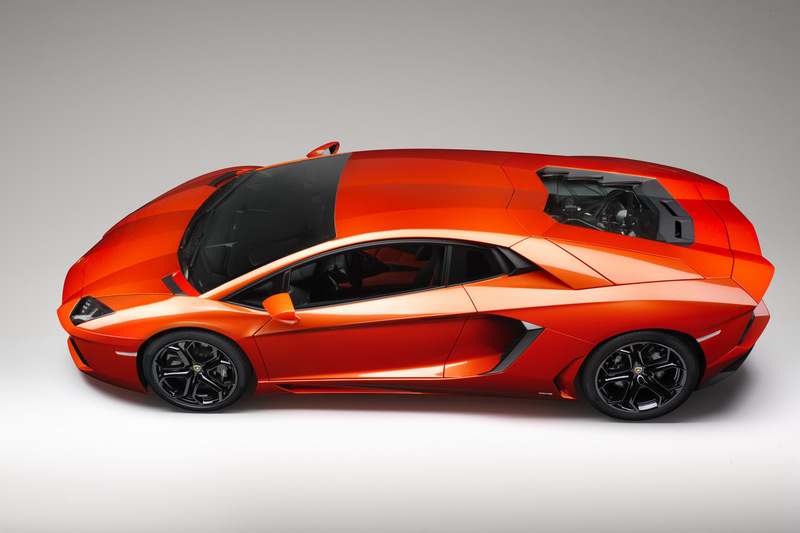 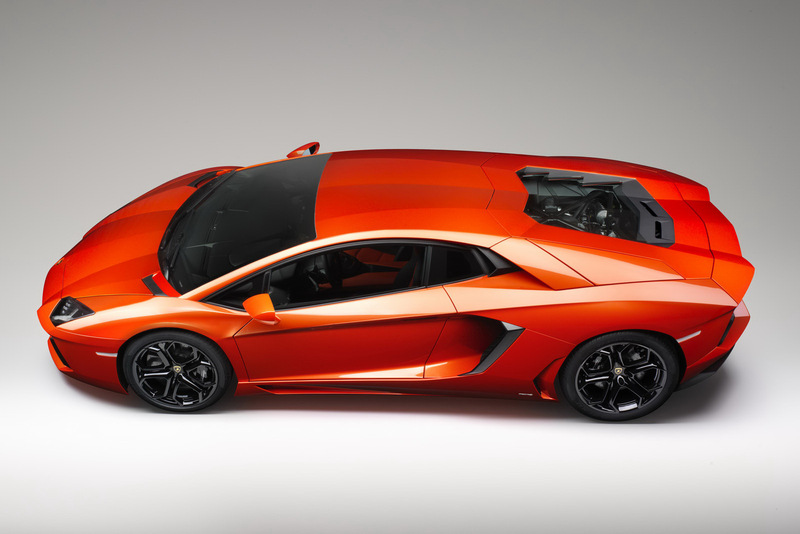 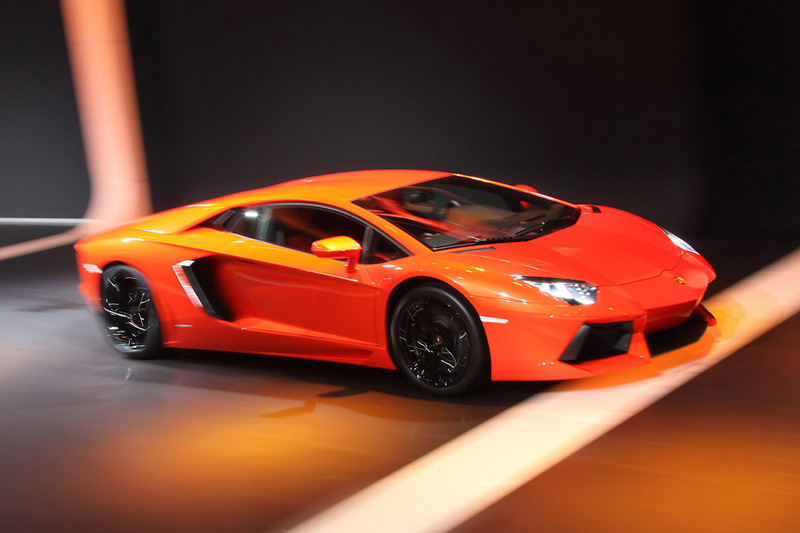 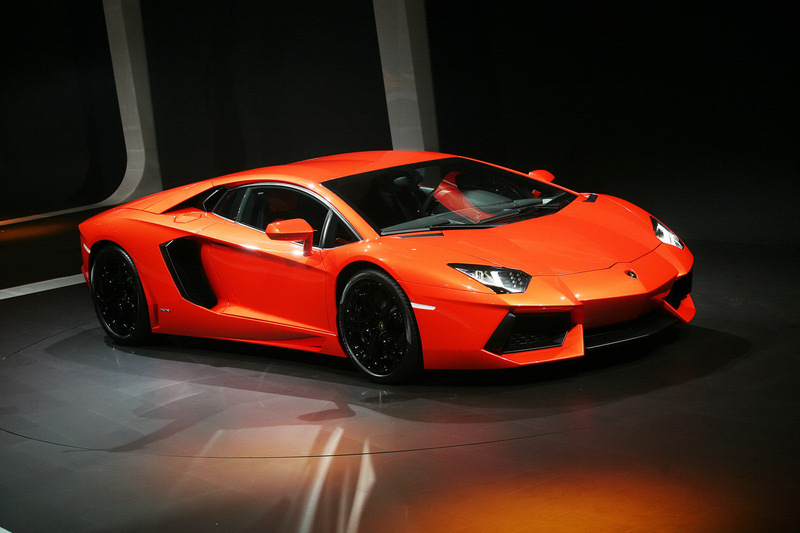 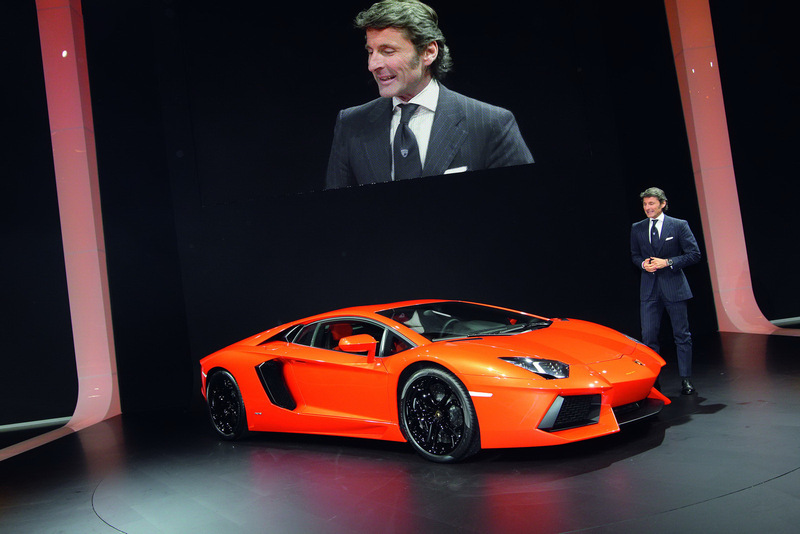 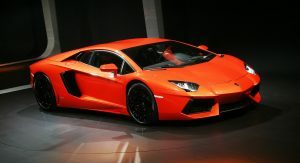 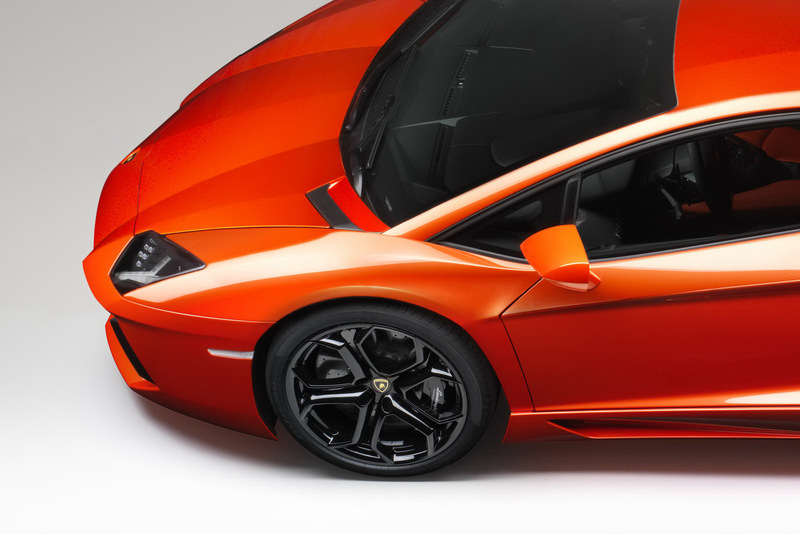 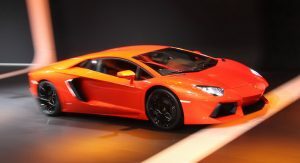 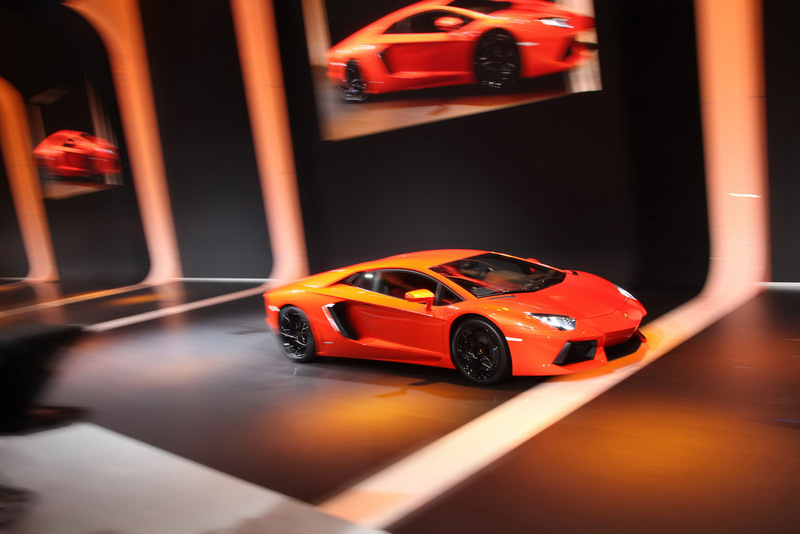 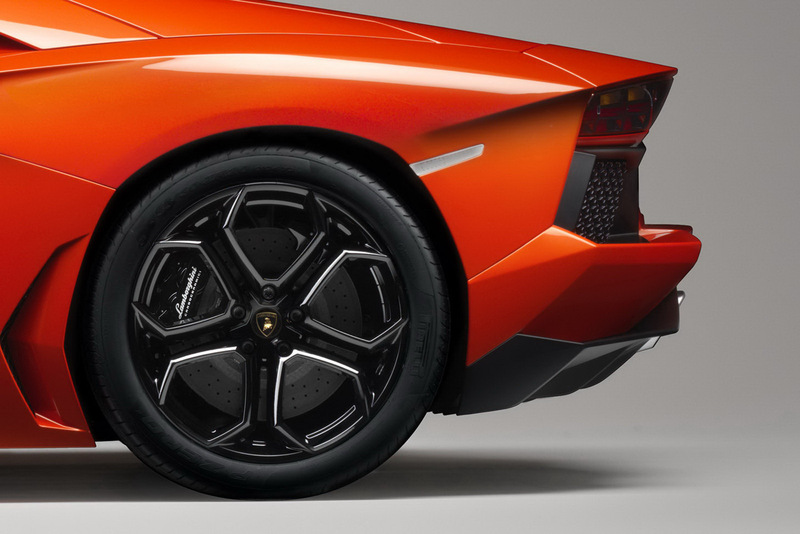 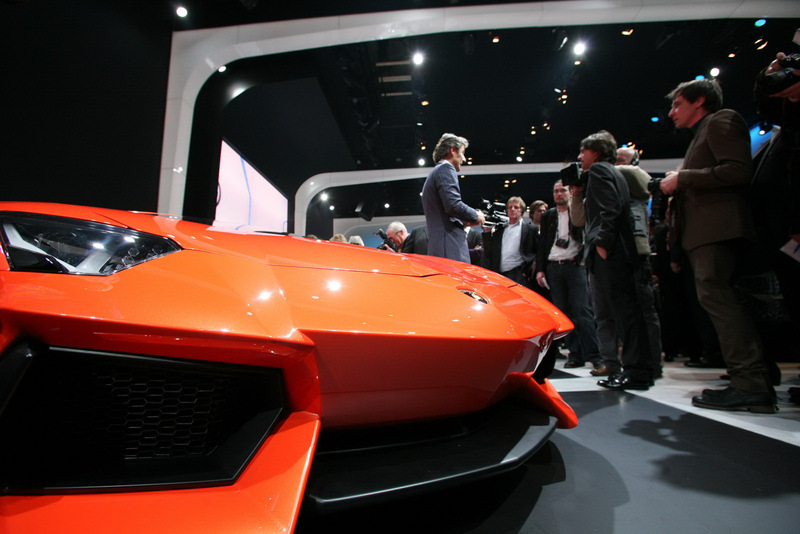 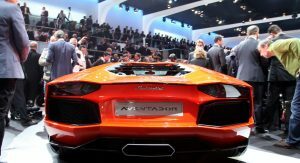 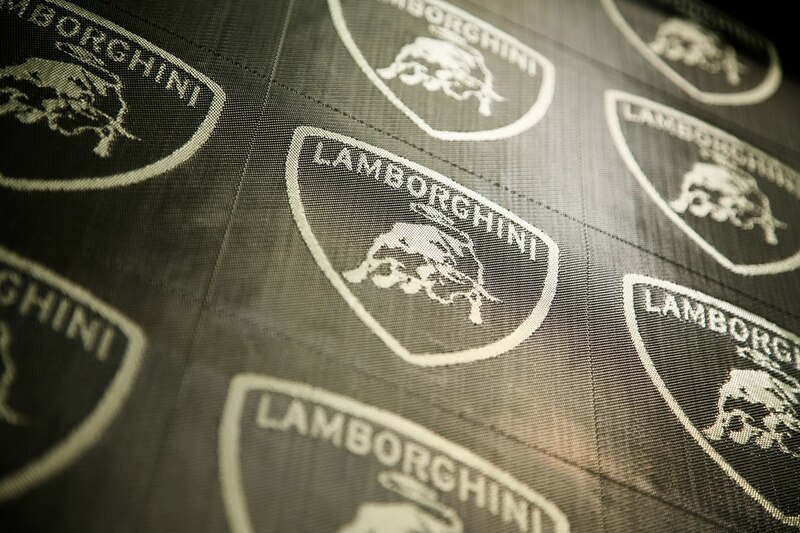 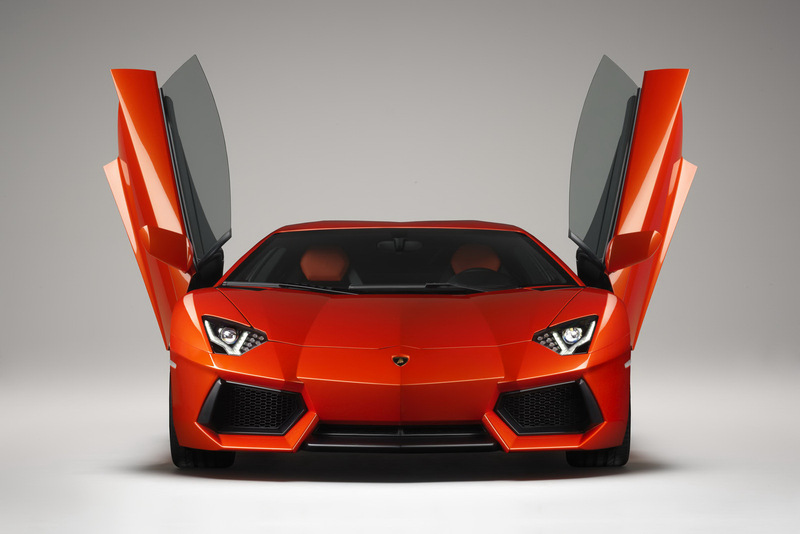 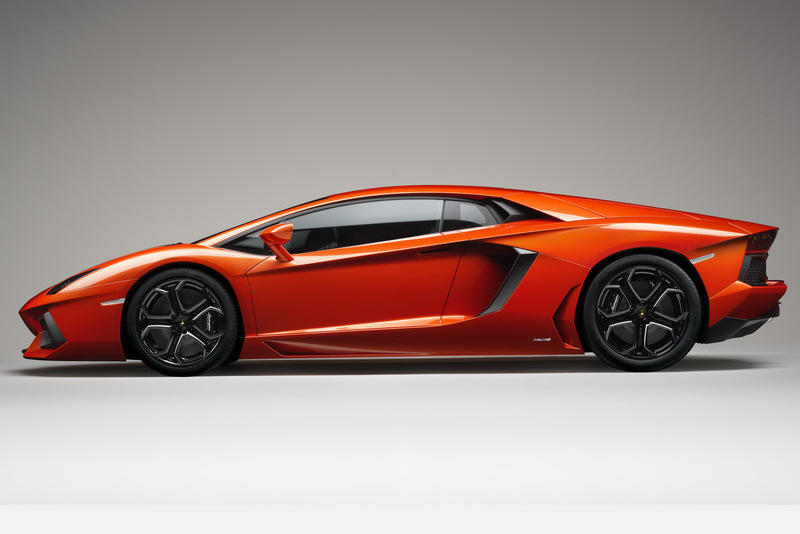 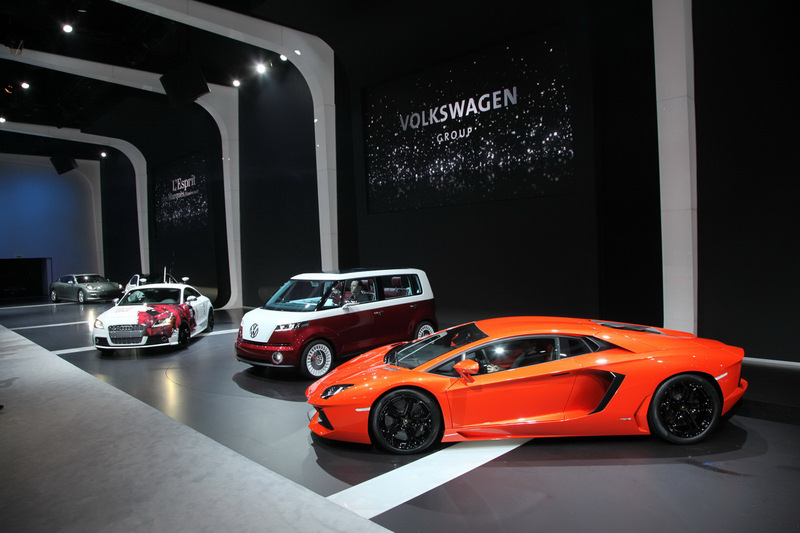 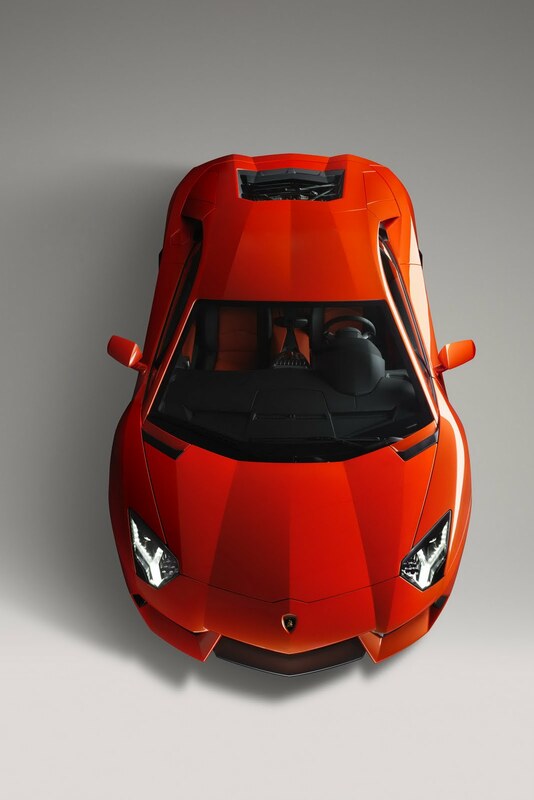 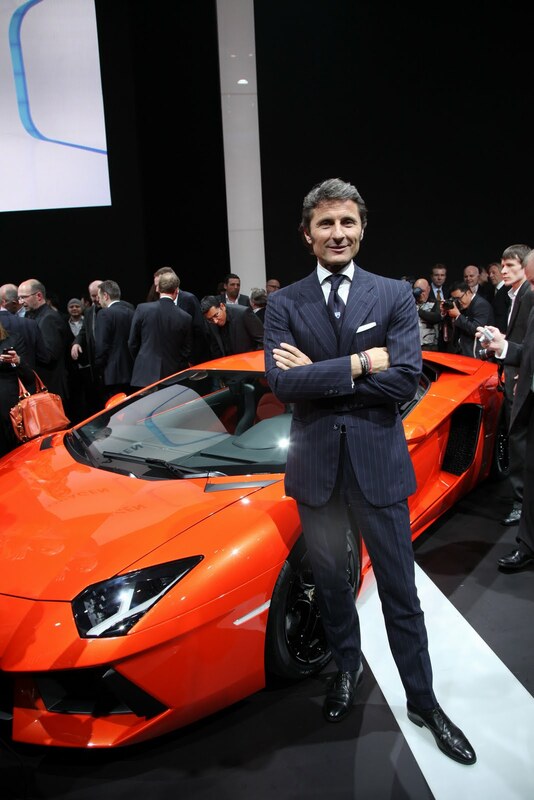 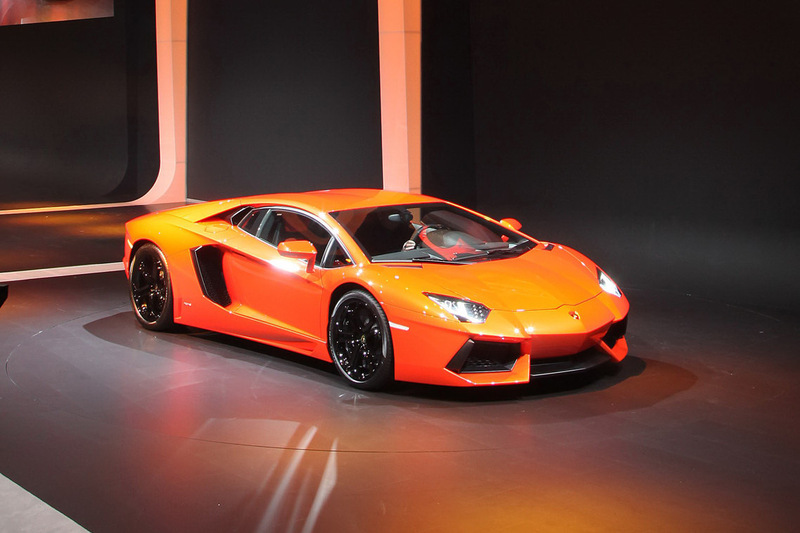 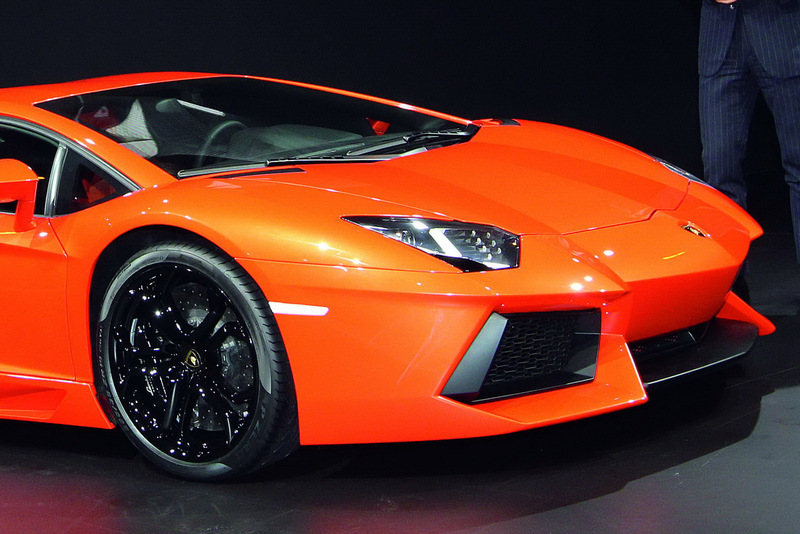 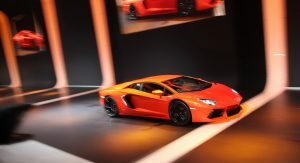 The Aventador LP 700-4, Lambo’s newest top dog, hopes to build on the glorious excess of its predecessor. 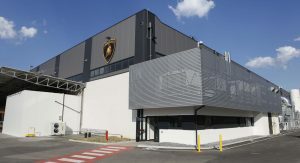 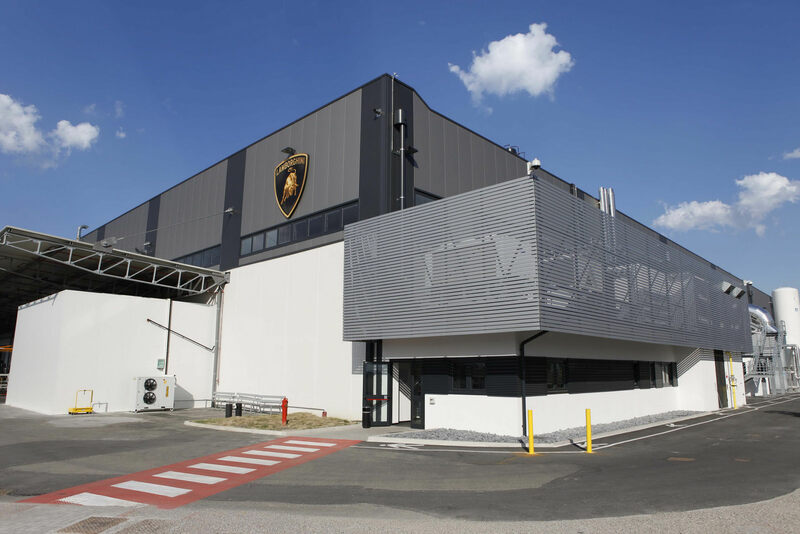 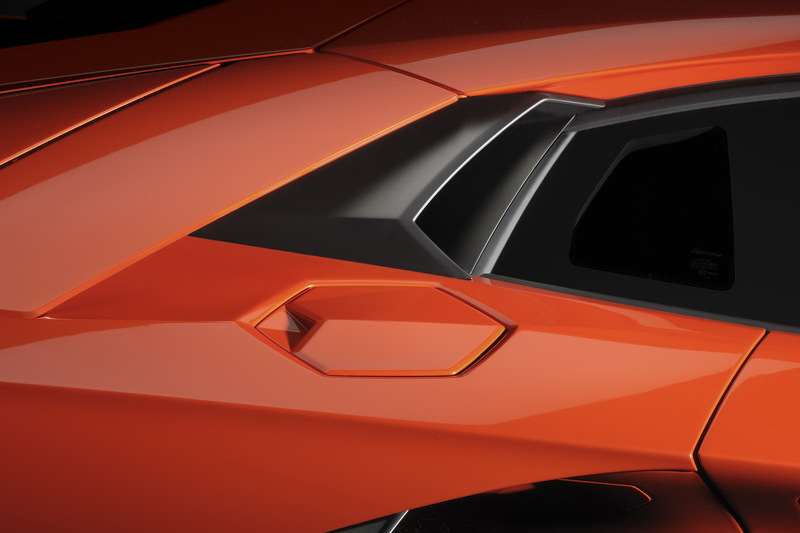 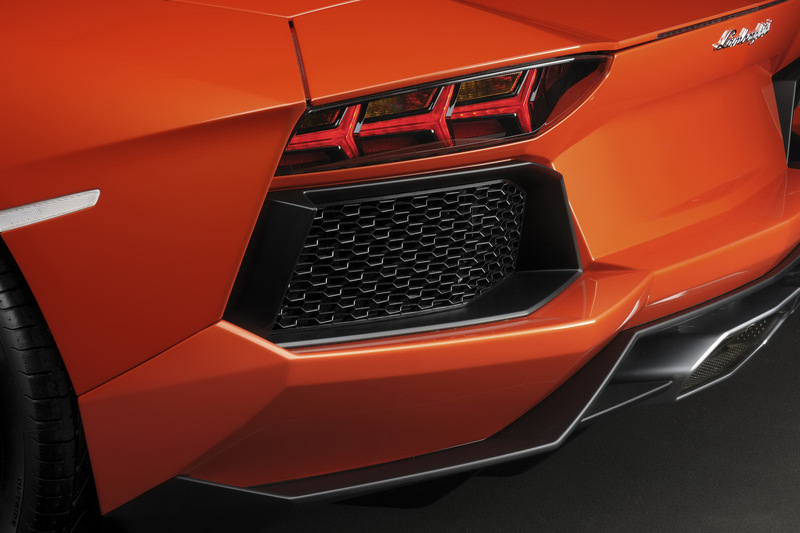 Fusing design cues found in the Reventón and Sesto Elemento, the Lamborghini Aventador has much in common with past Lamborghini flagships: it is named after a famous bull, packs a V12 warp drive, allows entry through a pair of scissor doors, and makes no sense as a daily driver. 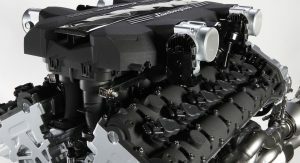 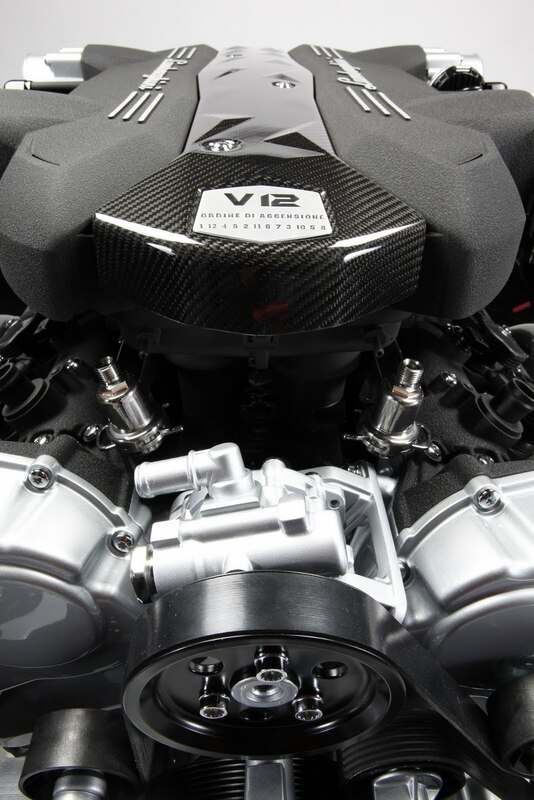 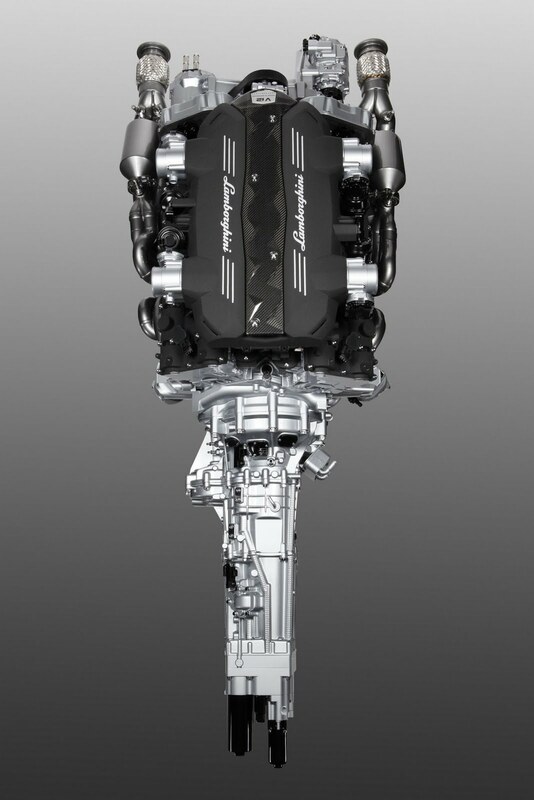 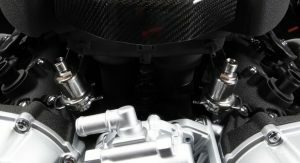 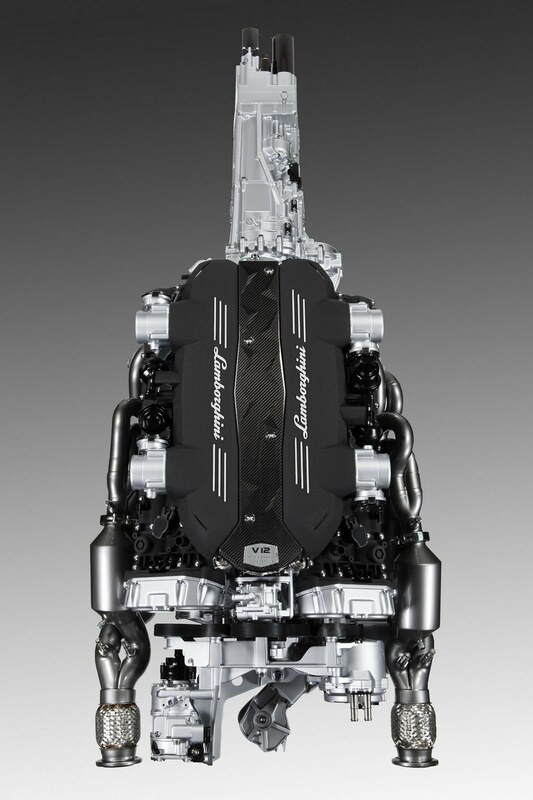 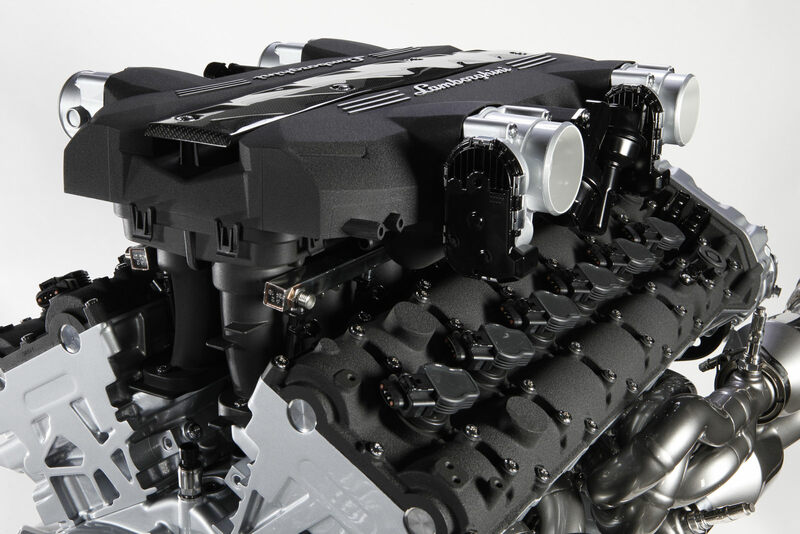 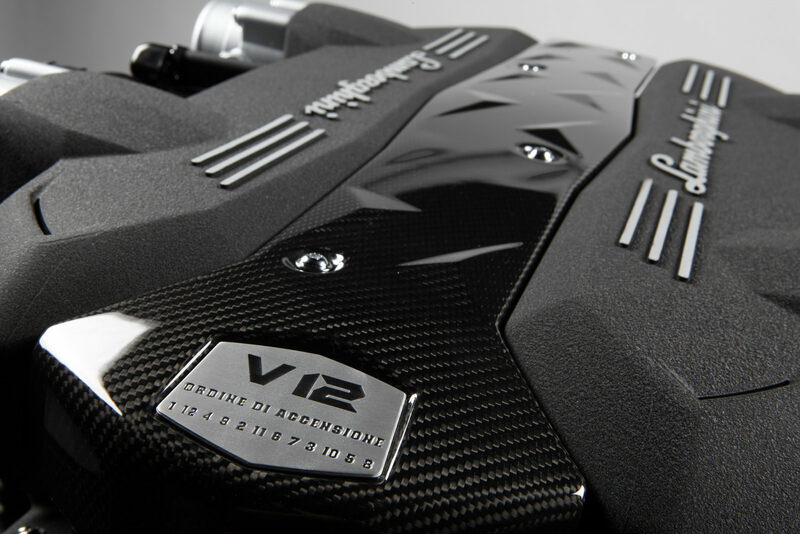 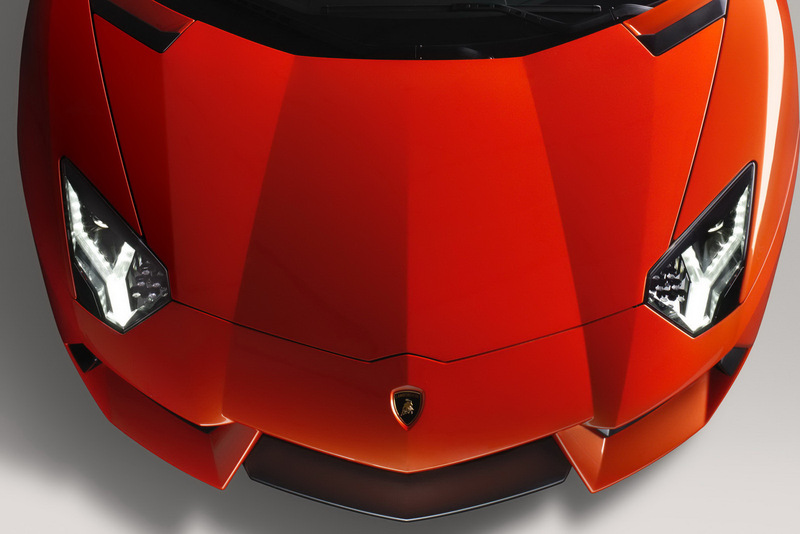 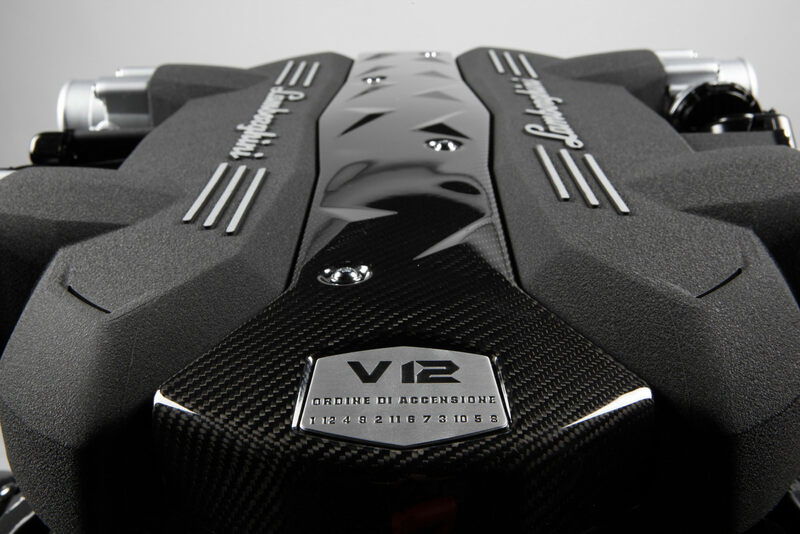 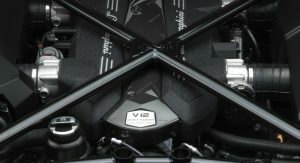 It has also picked up the Murcielago’s electronic air intakes due to their functionality and downright awesomeness. 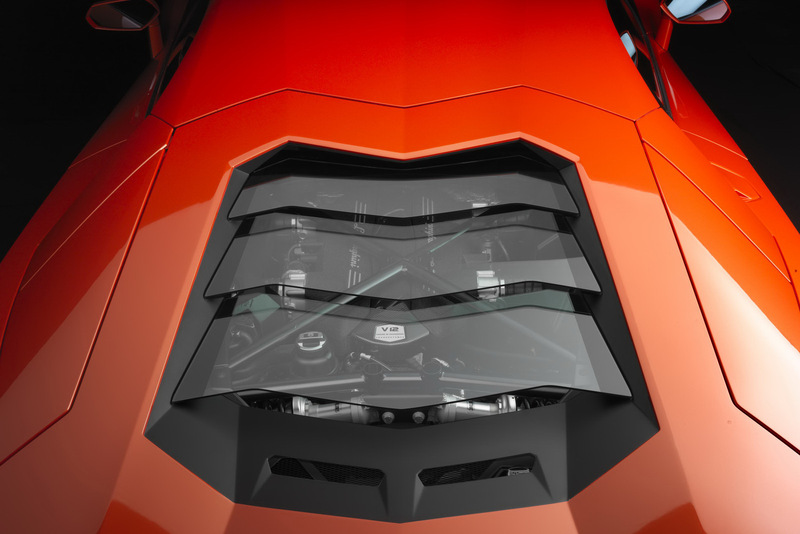 Broad details, however, are where the similarities stop. 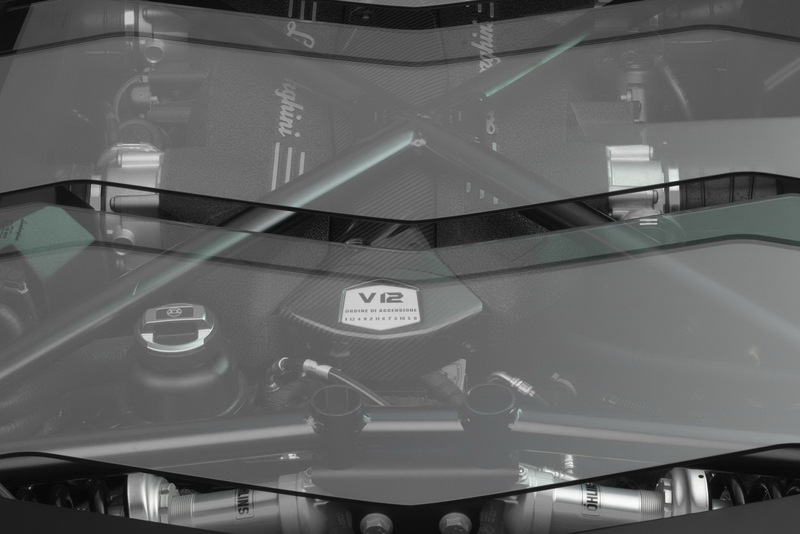 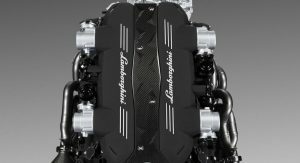 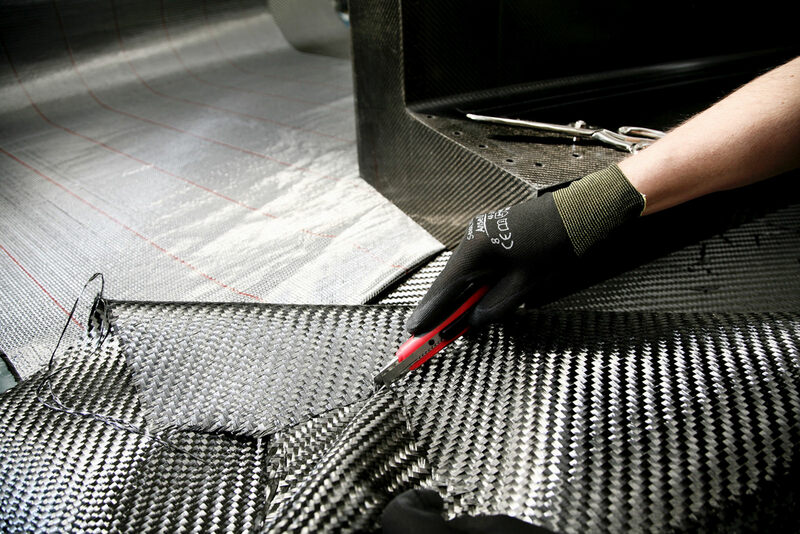 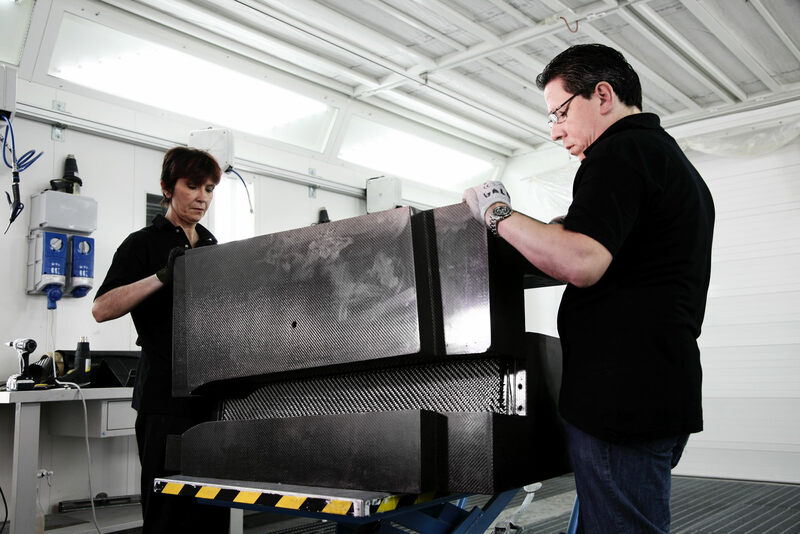 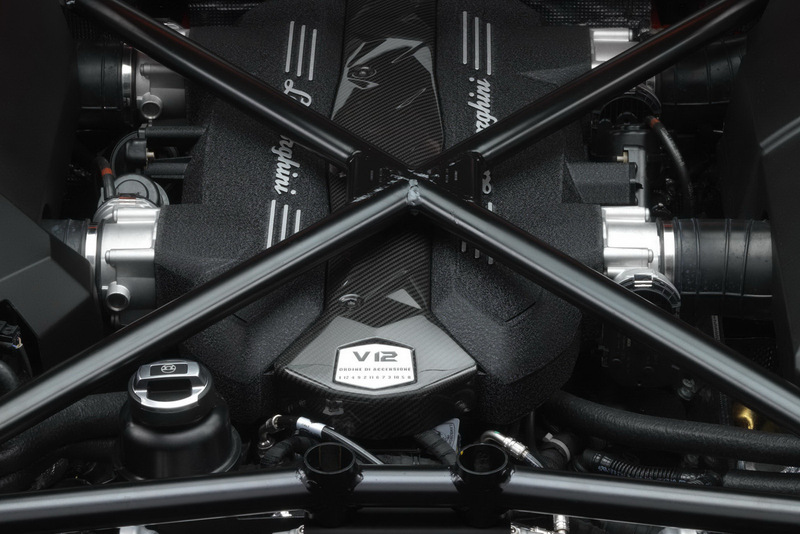 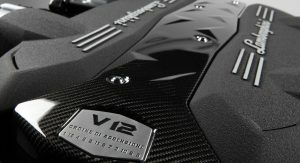 Settled within the freshly developed carbon fiber monocoque are an all-new 6.5-liter V12 (700 hp / 515 kW @ 8,200 RPM ; 509 lb-ft / 690 Nm @ 5,500 RPM) and an Independent Shifting Rod (ISR) transmission. 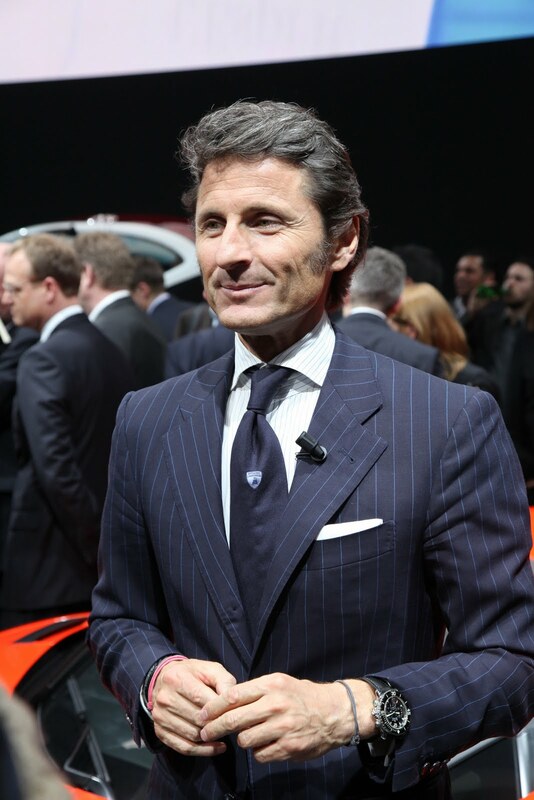 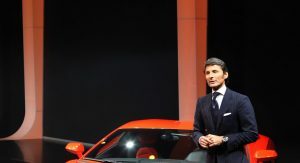 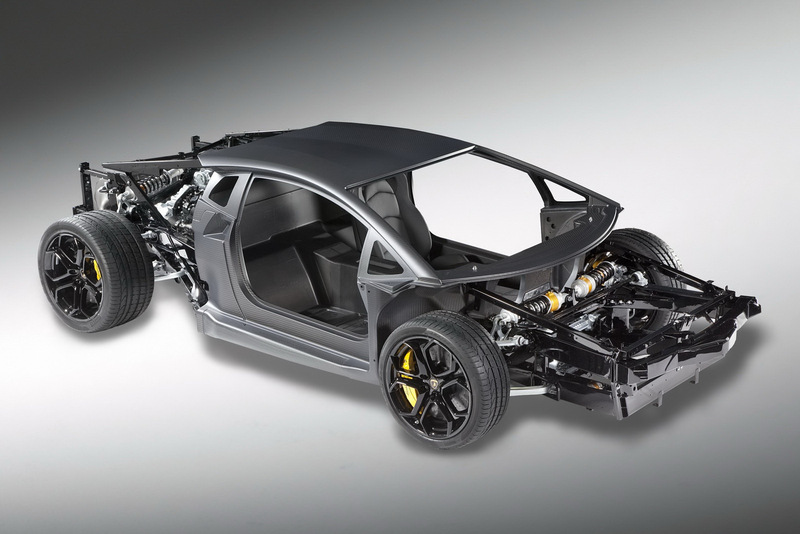 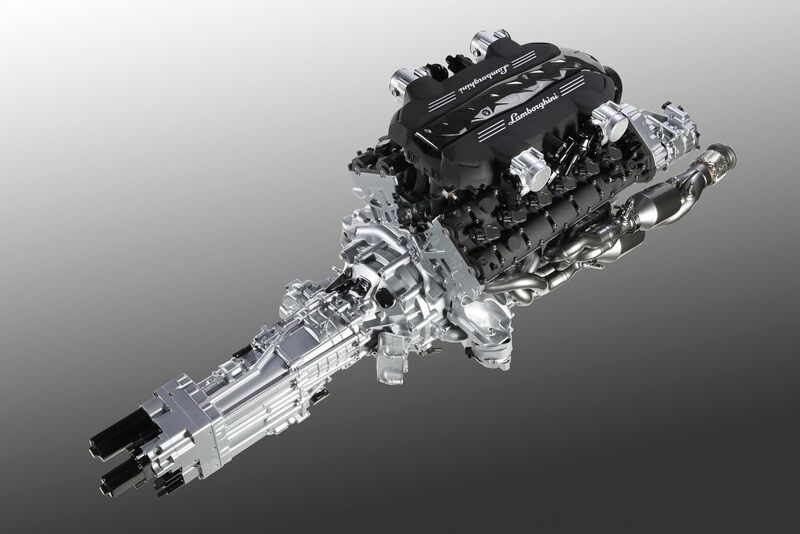 Taking Lotus-like weight loss cues from the Sesto Elemento concept, the ISR transmission is lighter, faster (just 50 milliseconds to shift), and “more emotional” than a traditional double-clutch setup while being more compact that a traditional manual gearbox. 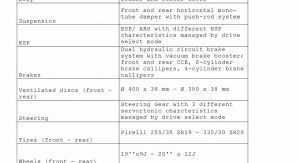 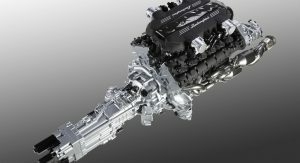 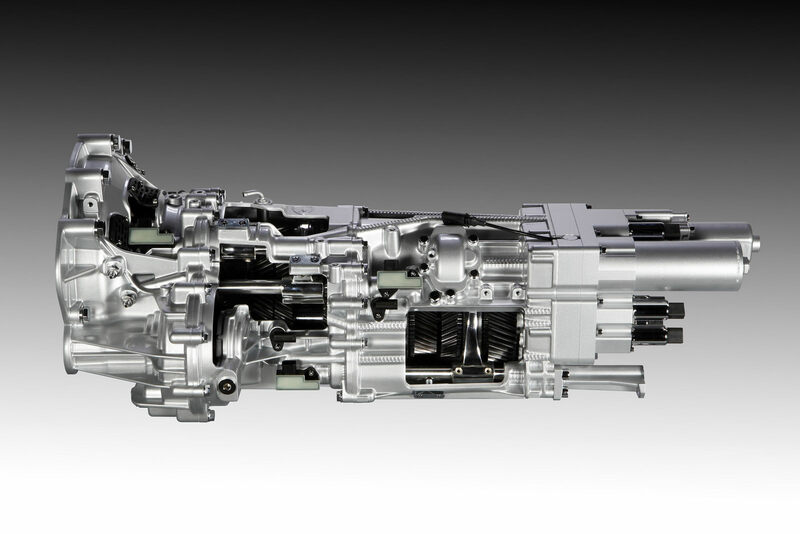 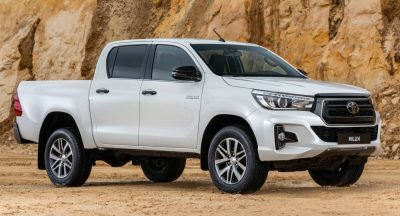 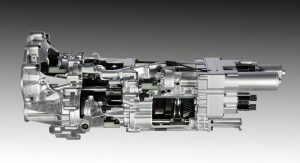 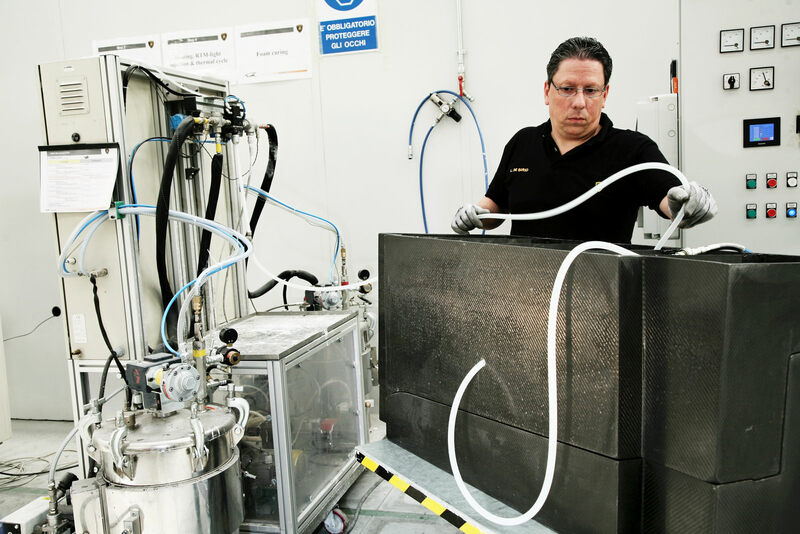 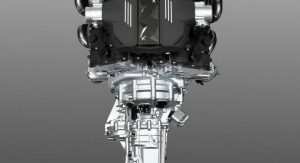 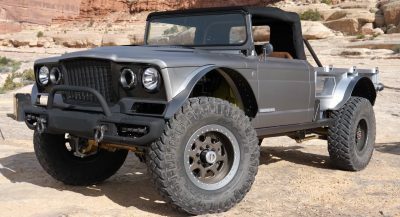 Following the 700 ponies and 509 lb-ft through the driveline, we find ourselves at a Haldex full-time electronic AWD system that incorporates a self-locking rear diff and ESP-controlled front diff. 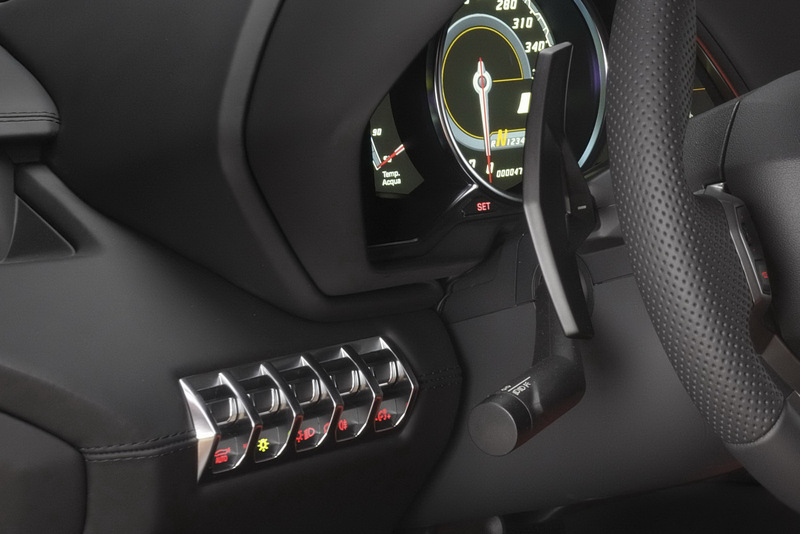 How these react to all that power depends on which form of Drive Select Mode is chosen: spine-tingling Strada, bone-jarring Sport, or tooth-shattering Corsa. 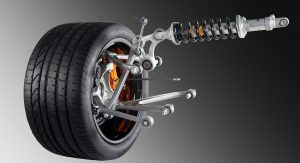 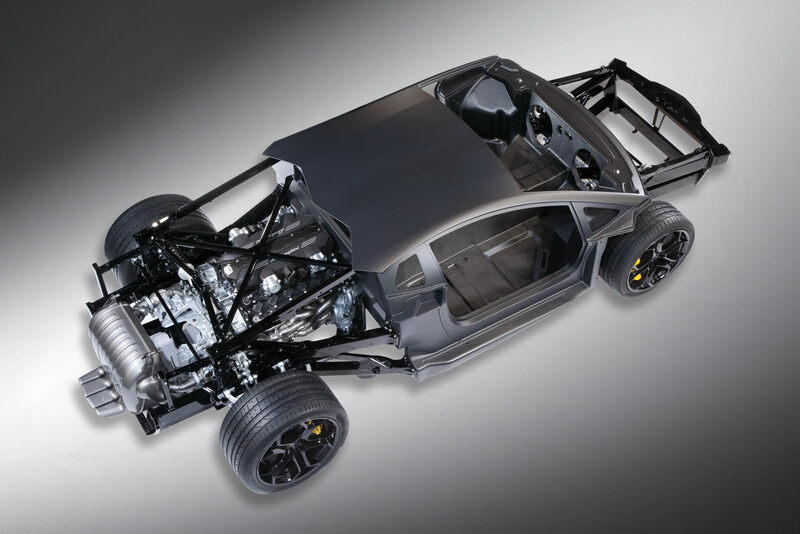 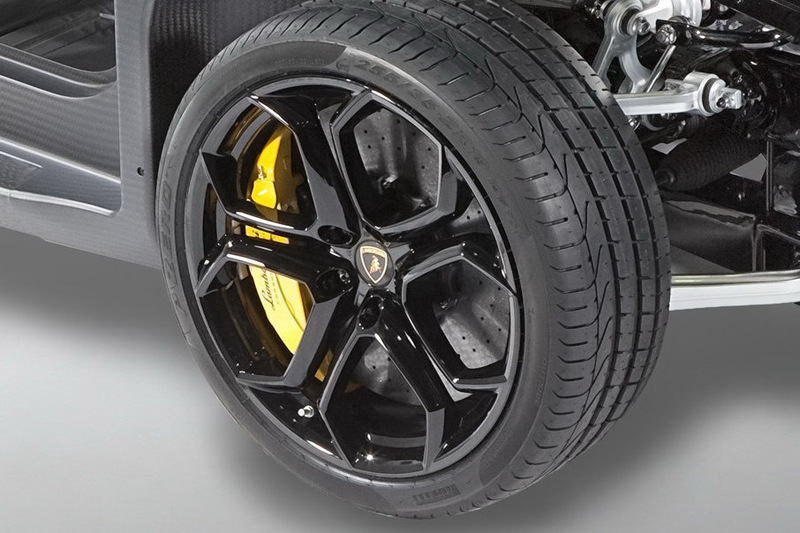 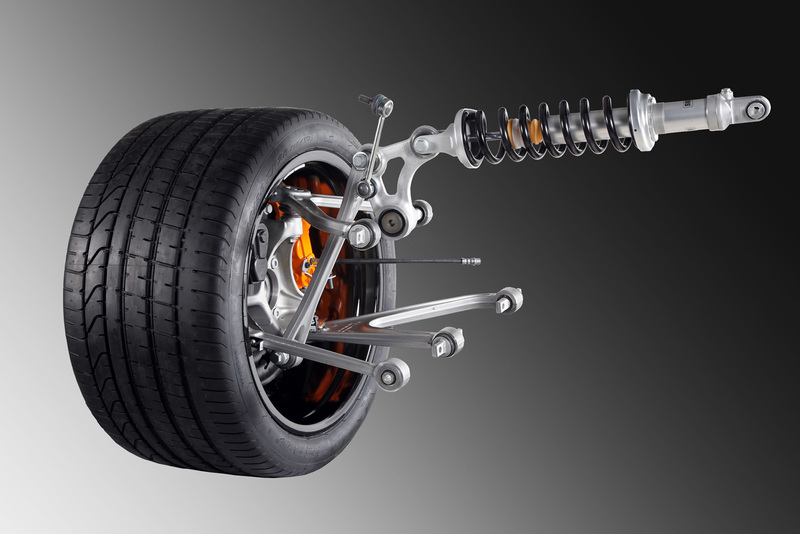 Underneath, an F1-derived pushrod suspension and aluminum wishbones makes sure the wheels stay planted while the carbon ceramic disc brakes handle anything that 200+ mph has to offer. 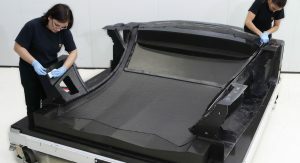 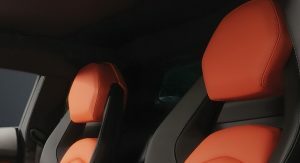 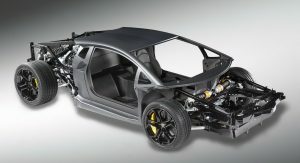 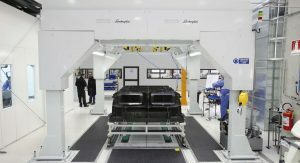 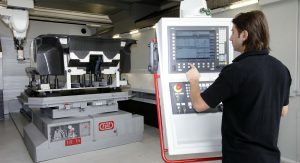 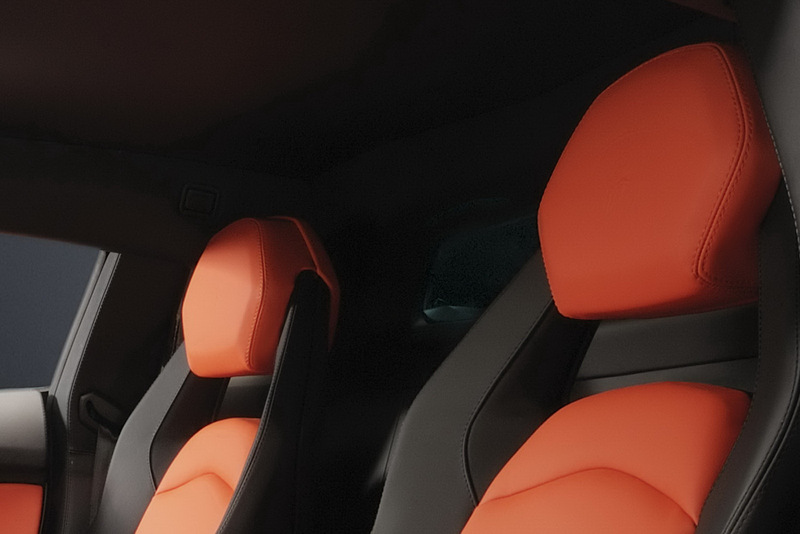 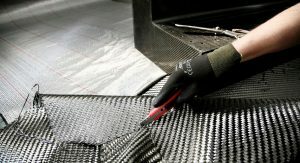 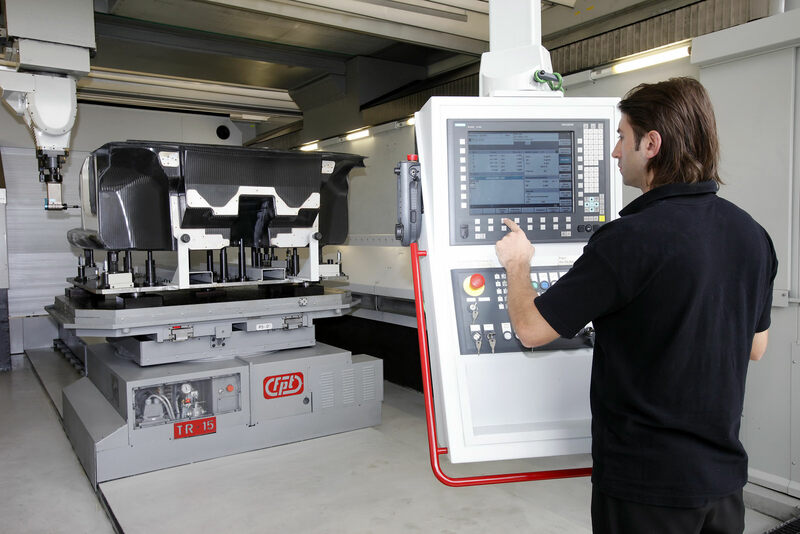 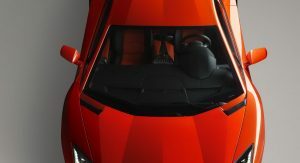 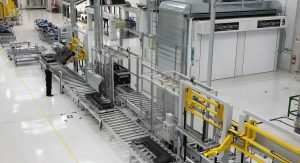 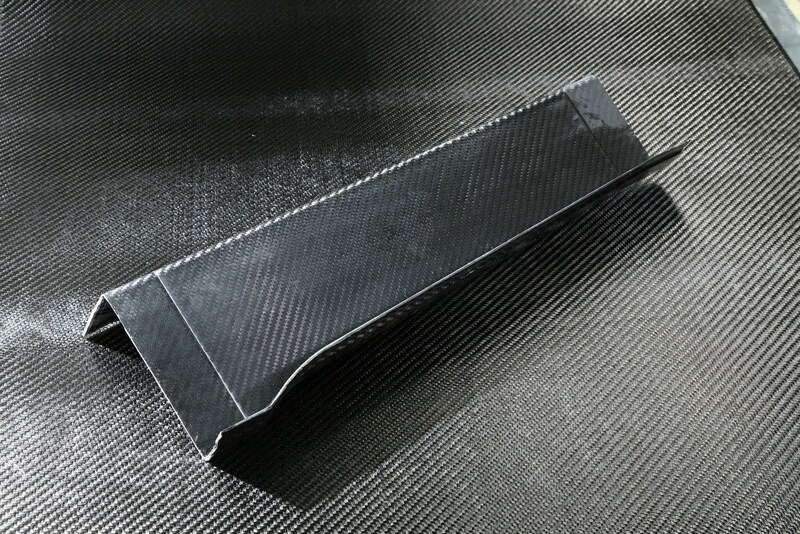 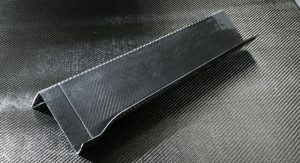 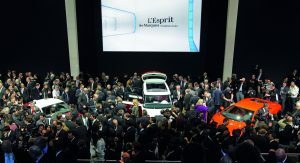 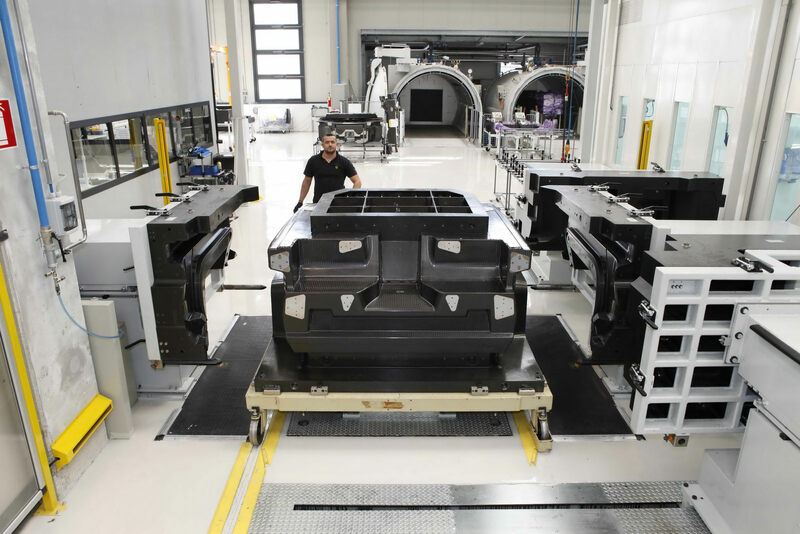 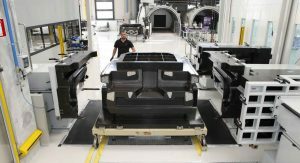 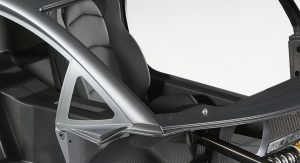 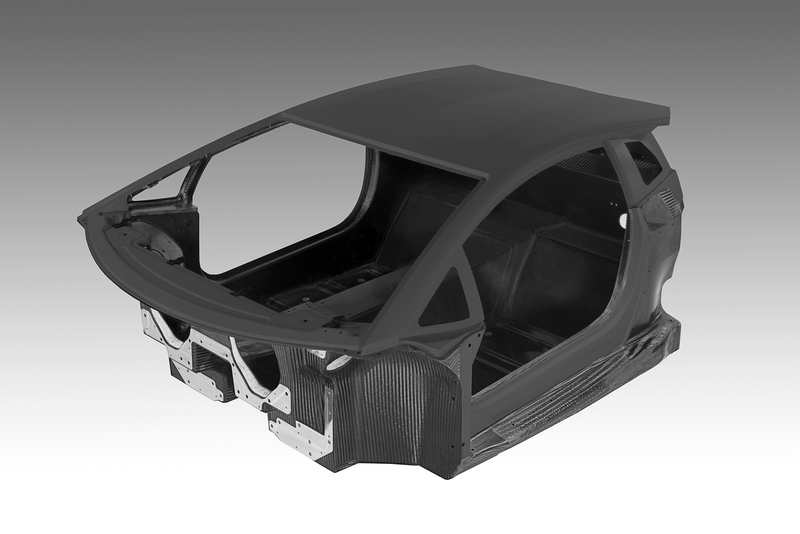 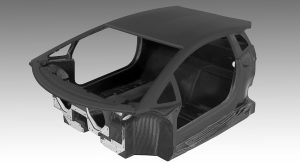 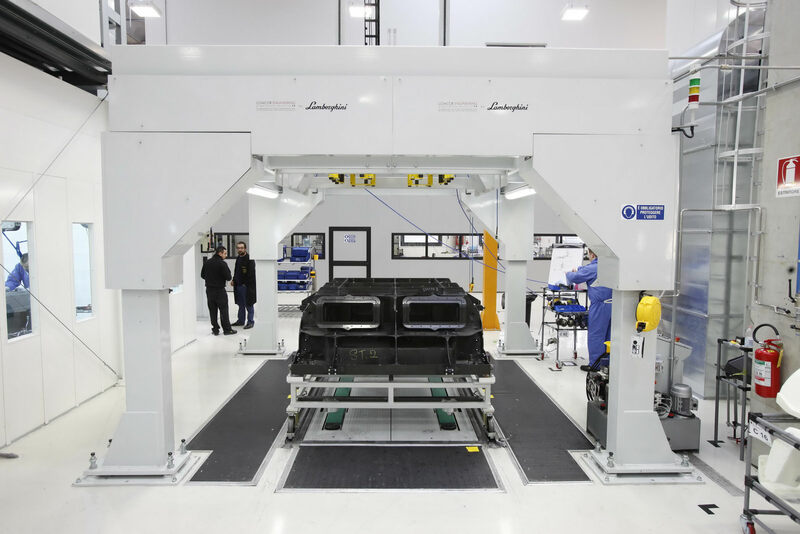 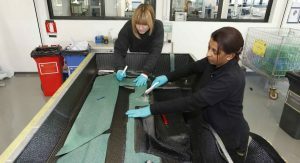 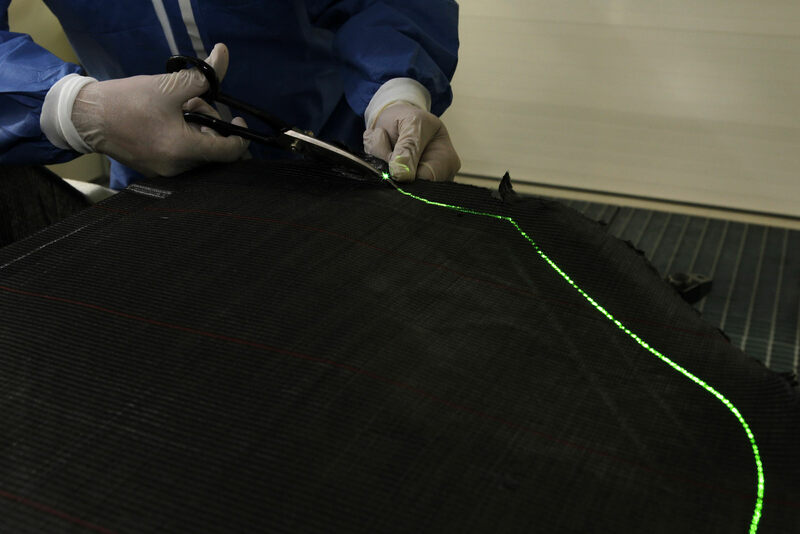 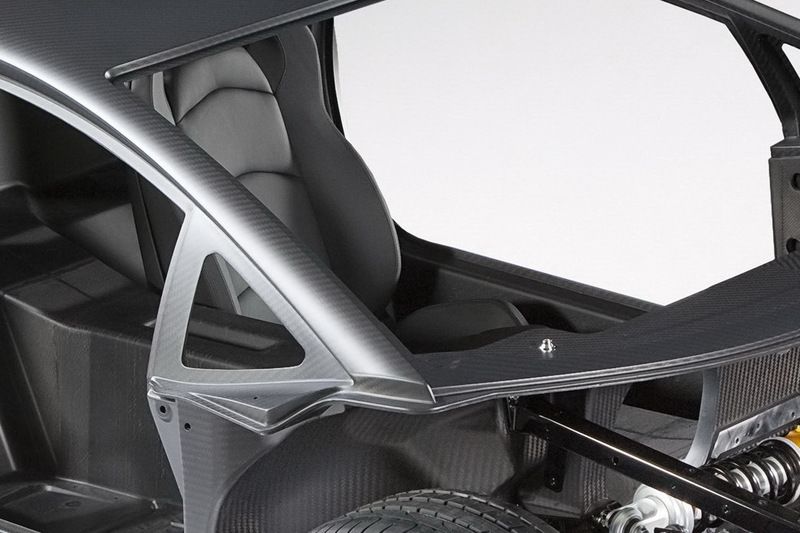 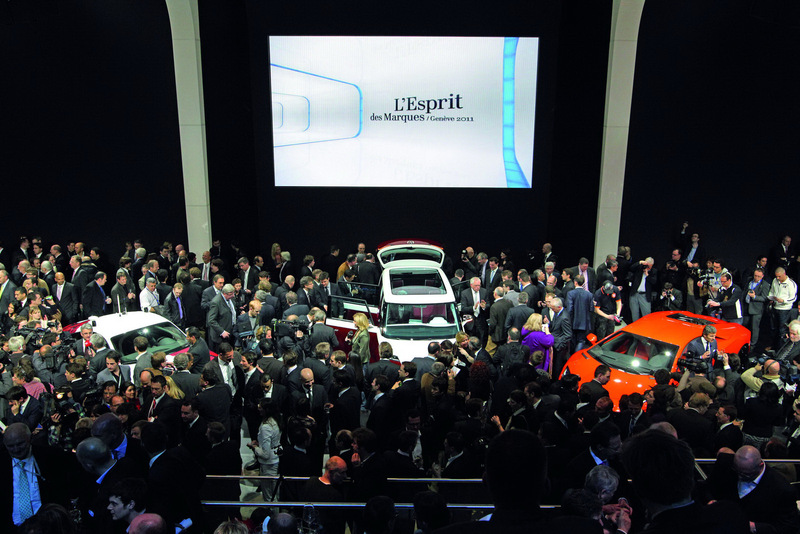 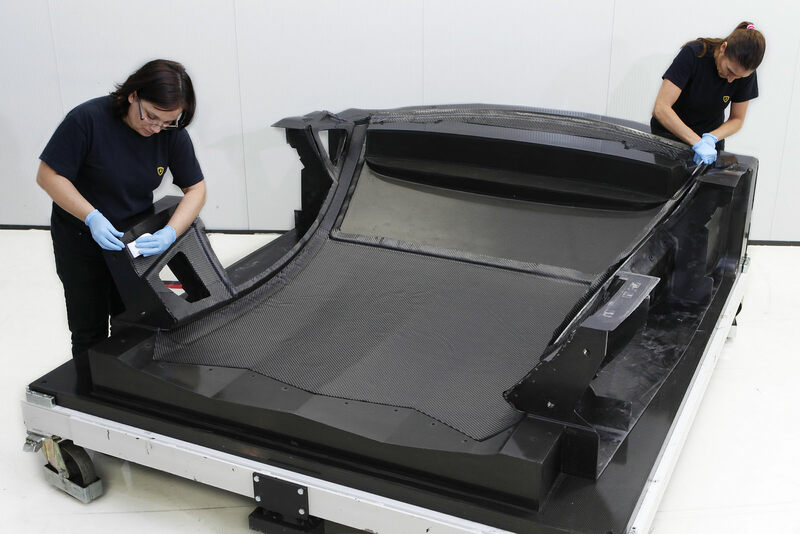 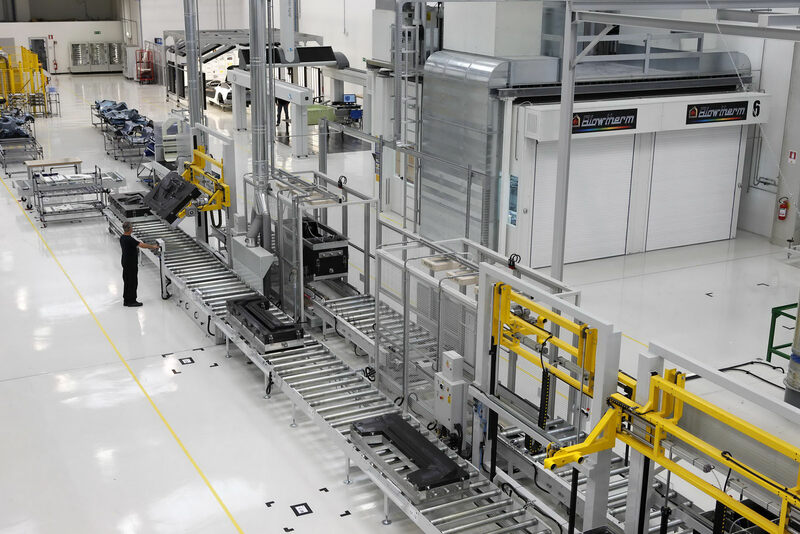 Inside the monocoque, drivers will be protected by not only the rigidity offered by the one-piece design of the car, but also the primary (front), head/thorax, and knee airbags. 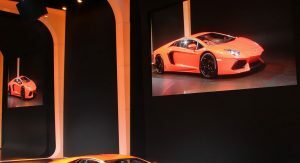 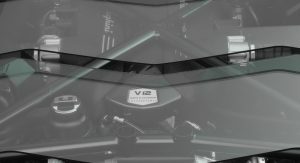 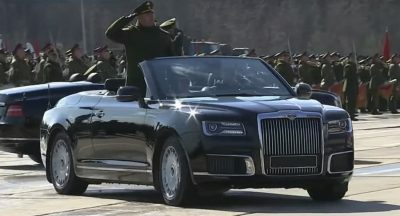 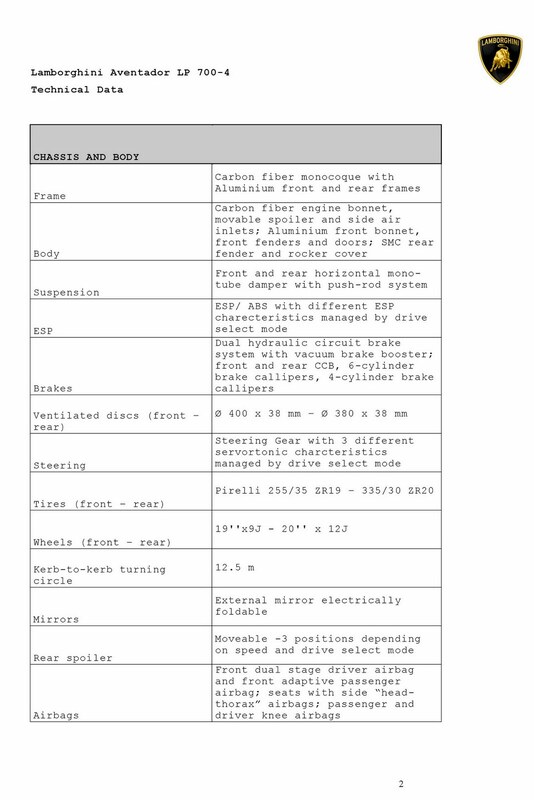 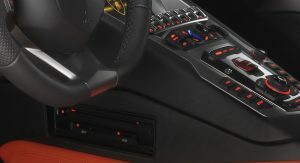 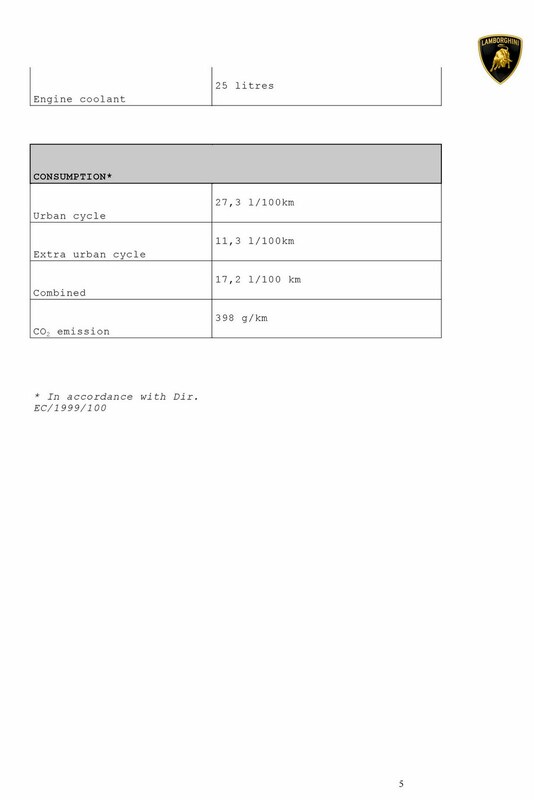 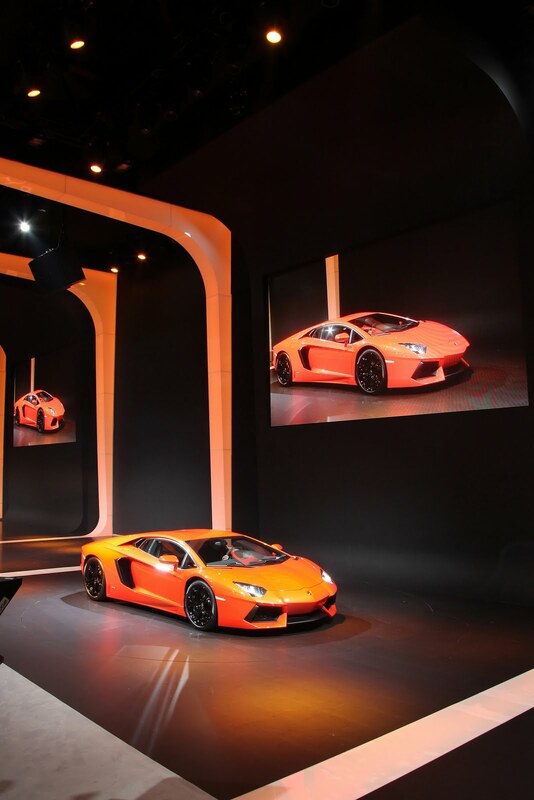 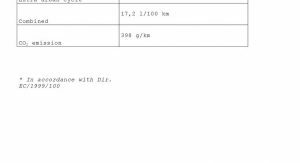 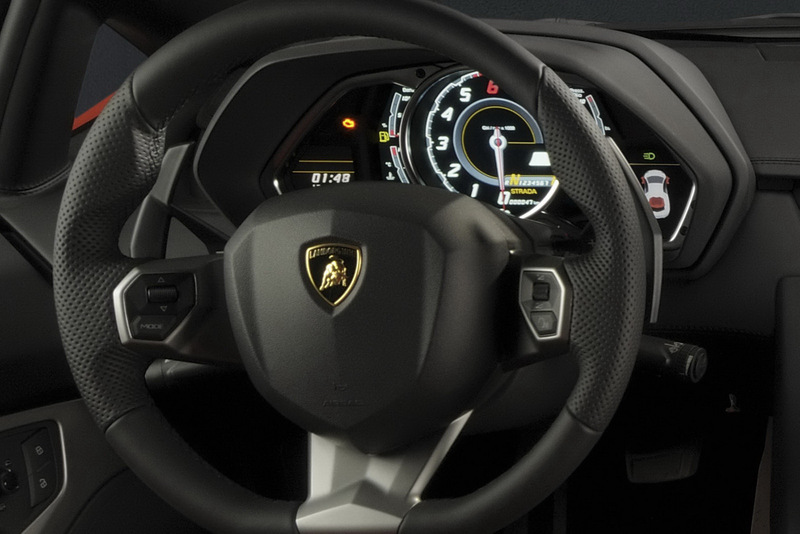 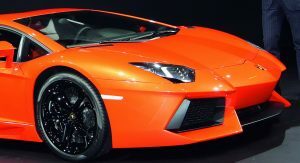 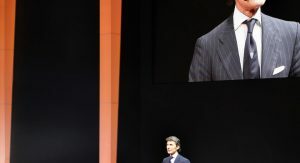 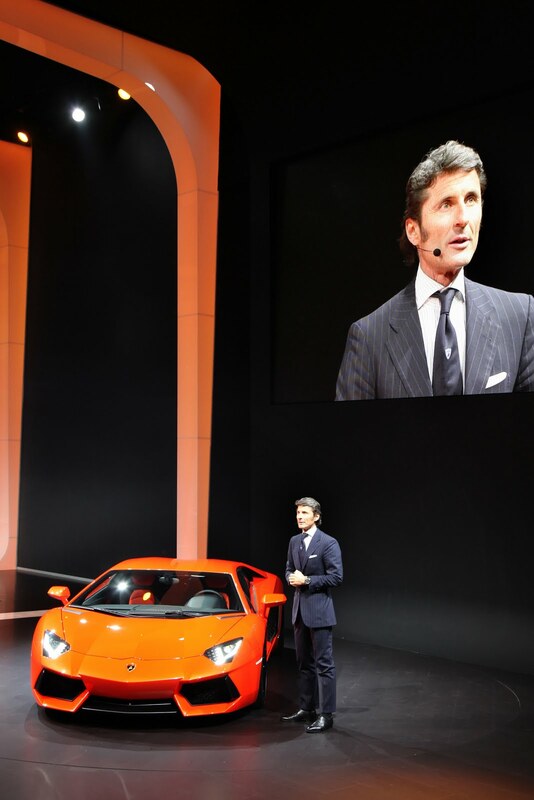 The car’s readouts and info are found on a TFT-LCD screen similar to that found in the Reventón. 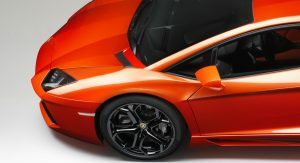 As always, colors and exclusive options are there should your wallet and accountant permit. 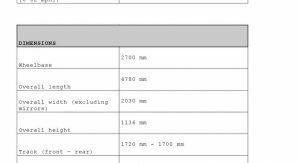 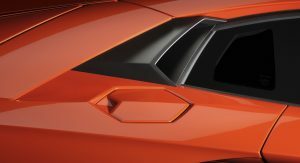 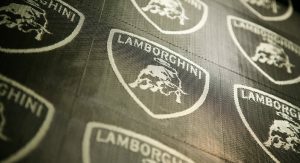 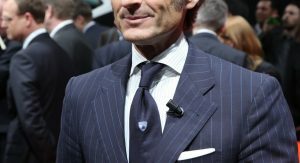 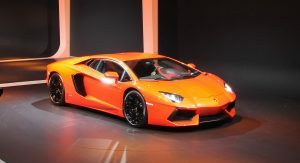 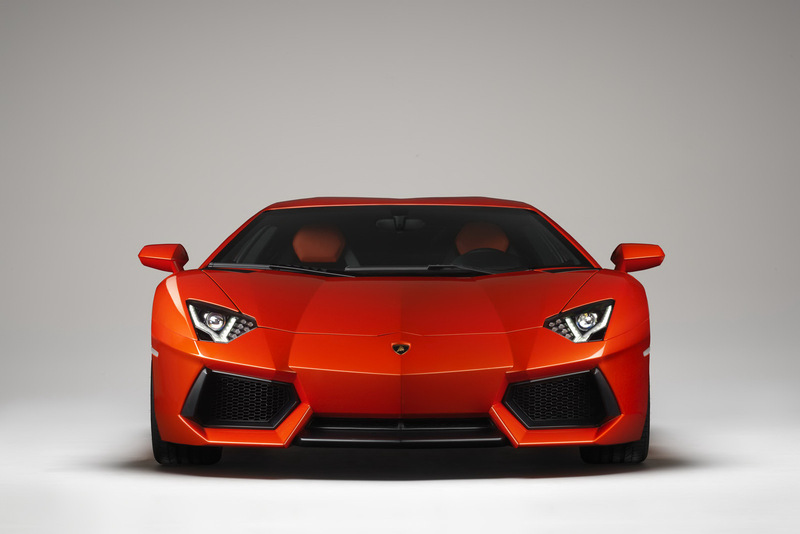 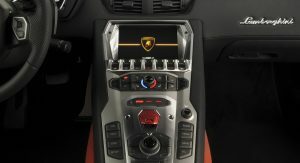 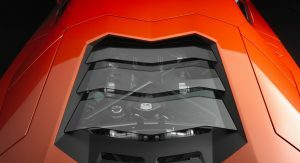 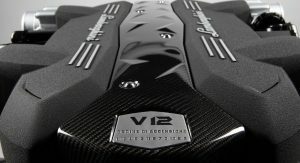 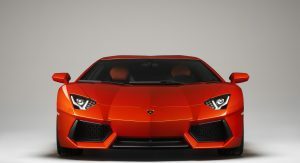 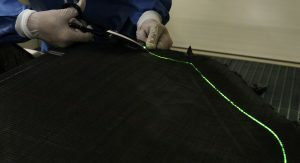 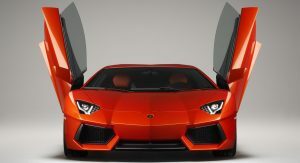 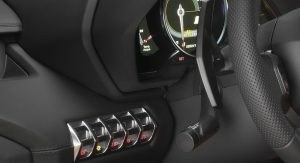 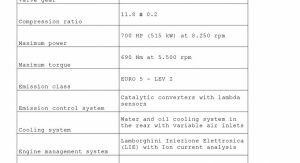 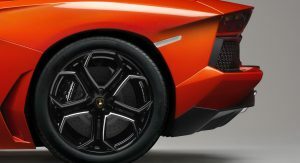 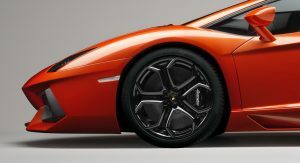 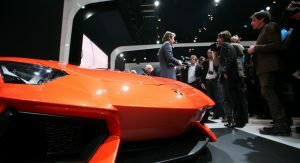 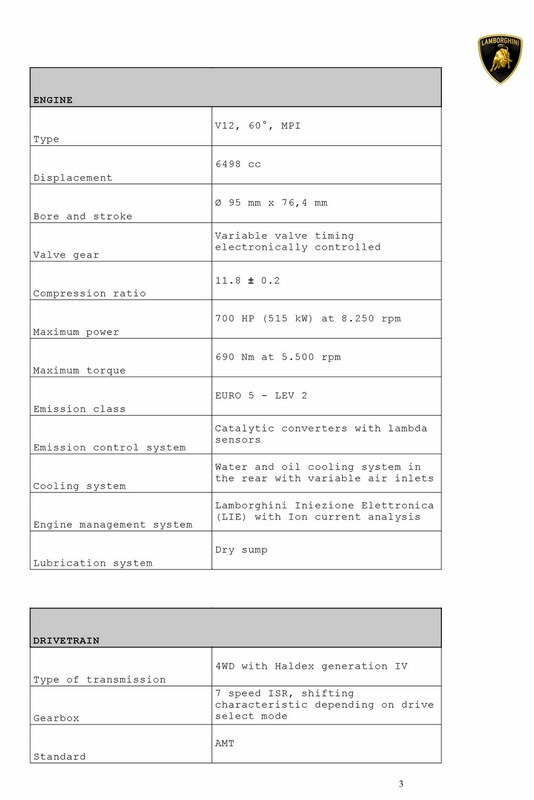 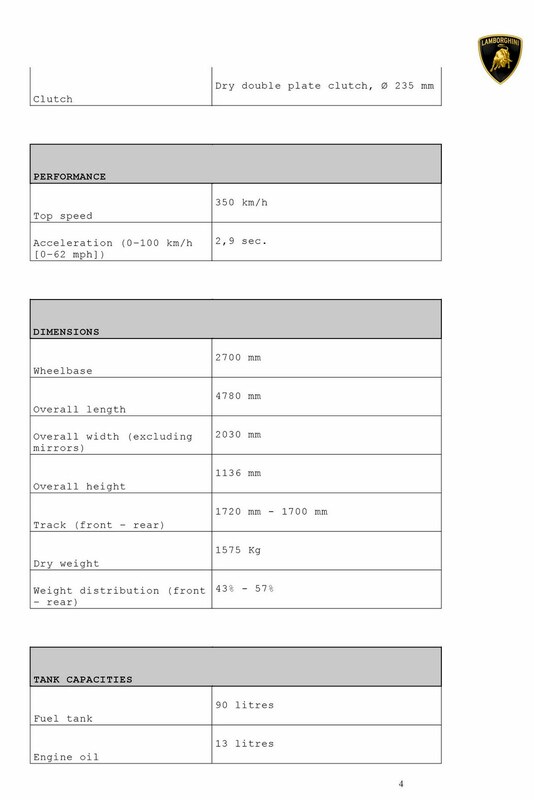 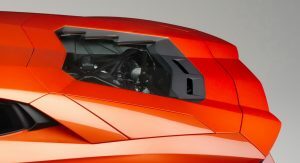 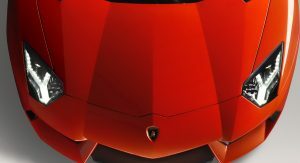 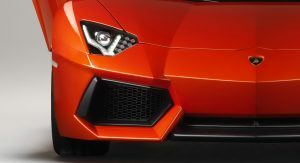 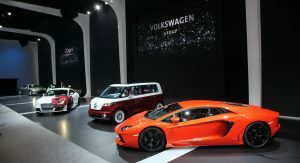 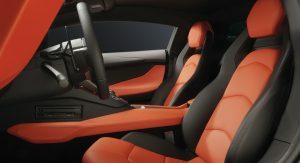 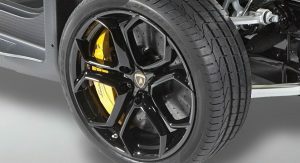 Scroll down for the pricing, specs, and pics of the future that is the Lamborghini Aventador LP700-4.